Science-backed ways to prevent breast cancer, including eating an anti-inflammatory diet, being aware of what kind of birth control you're using, and keeping alcohol intake to a minimum. October is BCAM, and we know that for our readers, preventing breast cancer—or cancer of any kind, for that matter—is front of mind. We also know that sometimes breast cancer just happens, despite our efforts to live a healthy lifestyle. This paradox is why, this month, we decided to share the top science-backed ways to reduce our risk of developing this disease, which will affect one in eight women during their lifetime, and the story of a doctor with absolutely zero risk factors, who got breast cancer anyway. The hard truth is that we can't always prevent it, but we can try to catch it early and give ourselves the best chance at a full recovery should this illness ever come knocking at our door. 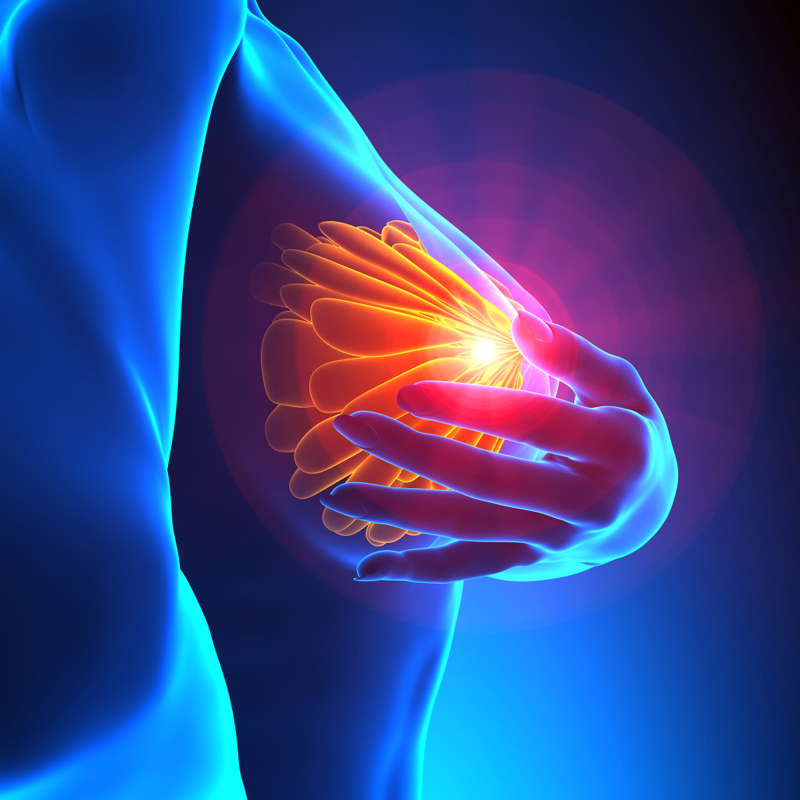 In 2018, about 266,120 new cases of invasive breast cancer are expected to be diagnosed in the United States. There's no doubt about it, a lot of women are going to be suffering—and are already suffering— from this disease. This one probably won't come as any surprise, but eating an anti-inflammatory diet can help prevent your risk of cancer—not to mention diabetes, heart disease, autoimmune disease, and basically any health condition out there. So what does an anti-inflammatory diet look like? It can take a lot of forms. But generally, it looks like lots of fresh fruits and vegetables, nuts and seeds, healthy fats like olive oil and fatty fish, and lean proteins and whole grains. Foods to avoid if you're trying to tame inflammation include common health offenders like added sugars, refined grains, hydrogenated oils, and processed foods of any kind. Try to avoid environmental toxins as much as possible. If you're trying to avoid breast cancer, it's time to take a deep dive into your household cleaning products, cosmetics, and makeup. Do you see ingredients like phthalates, parabens, and chemicals with names so long you can't begin to pronounce them? It's no secret that the United States doesn't do a great job of regulating chemicals. In fact, Europe has banned hundreds of chemicals that the United States still allows companies to put in our products—which are going on our skin, hair, face, around our eyes, and are being inhaled through our noses and mouths. This could definitely help explain why the United States has some of the world's highest rates of breast cancer. Many of these chemicals—including others like BPA, pesticides, and fire retardants—are known carcinogens. As Sonya Lunder, MPH, wrote in an article for the Environmental Working Group, an activist group that specializes in research and advocacy for environmental health issues, "Once disputed as a contributor to breast cancer, environmental pollutants are now known to play a significant role. Chemicals in our food, water, and homes can alter DNA and gene expression to change the way breast cells develop, making tissues susceptible to cancer." Not sure where to start? Try one of these natural cleaners (that you'll want to use over and over and over again) or read our guide to finding the best natural beauty products. You don't have to overhaul your self-care routine all at once—but next time you run out, maybe pick up an all-natural sheet mask, a chemical-free deodorant, or some "5-free" nail polish (these ones are perfect for fall). Be aware of how your birth control method might increase your risk. New research has shown that hormonal birth control—including the pill and hormonal IUDs—can increase your risk of getting breast cancer and cervical cancer. But before you go throwing your pink pill packet in the trash, you should know that the pill also has protective effects against other types of cancer, like ovarian cancer, endometrial, and colon cancer. This is a tough one, and it's a personal choice for every woman. But if you're concerned about breast cancer, it might be worth exploring non-hormonal birth control methods like the copper IUD, condoms, or apps like Natural Cycles—which was just approved by the FDA as contraception—that use the rhythm method paired with some pretty advanced technology to predict your fertile window. Stop smoking, and keep alcohol intake to a minimum. Avoiding first- and secondhand smoke goes almost without saying. We all know that smoking is bad for our health and increases our risk of virtually every type of cancer and health problem. What's less well-known is that when it comes to preventing breast cancer, it's also important to keep alcohol to a minimum. So how much can you drink? Unfortunately, even as much as one drink per day can increase a woman's risk for breast cancer. This isn't a reason to deprive yourself of a cocktail every now and again if you have a healthy relationship with alcohol, but it is something to keep in mind if you're a "two glasses of wine with dinner every night" kind of gal. As much as food—and an anti-inflammatory diet—is medicine, exercise can also have powerful health benefits. And the good news is that unlike food, it doesn't really matter what kind of exercise you're getting as long as you're getting it. Don't overthink it: Go on a brisk walk after dinner, join a CrossFit gym, pick up that tennis racket, take a dance class, or go on a jog with a friend. 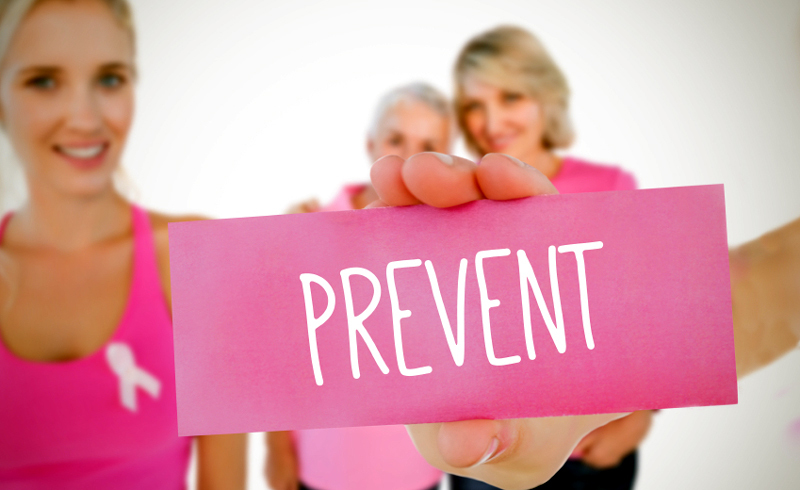 All of it counts toward your health and against your risk for breast cancer. As an added bonus, you'll feel better, as exercise has been shown to improve mood, keep you pain-free and limber, and prevent other diseases as well. If you have the option—breastfeed your babies. Science shows that breastfeeding reduces your risk of getting both pre- and postmenopausal breast cancer. Wondering how this works? Breastfeeding can keep your menstrual period from returning and prevents ovulation, which reduces your overall exposure to hormones, like estrogen, that are known to promote breast cancer cell growth. You also shed breast tissue during pregnancy and breastfeeding, so it reduces your risk through more than one mechanism. If you haven't already read Dr. Sheeva Talebian's breast cancer story, now is the time. Because despite doing all these things—exercising, eating healthy, and breastfeeding two children—she got breast cancer. But she's thriving today because of her own vigilant self-breast exams, which led her to go to the doctor early, which likely saved her life. So go for your mammograms and pap smears, and make sure you're aware of what your breast tissue normally feels like so that you know when something feels abnormal.